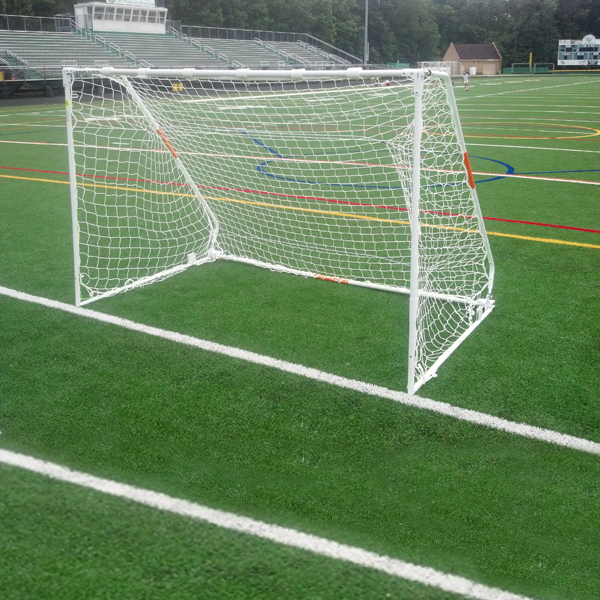 Goal dimensions are 2M tall x 3M wide x 2M deep for ultra stability. 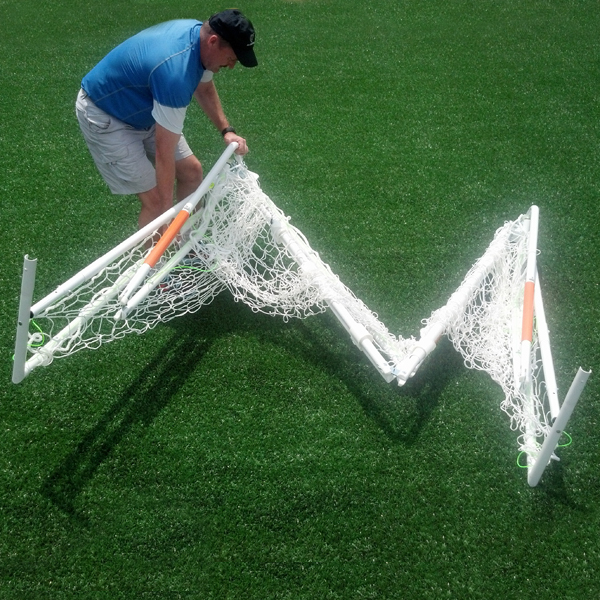 Rage Cage FUTSAL-V4 goal comes with a 4mm, white, polypropylene net with 4” squares. Rage Cage one time quick assembly is required. FUTSAL-V4 is intended for FUTSAL leagues. 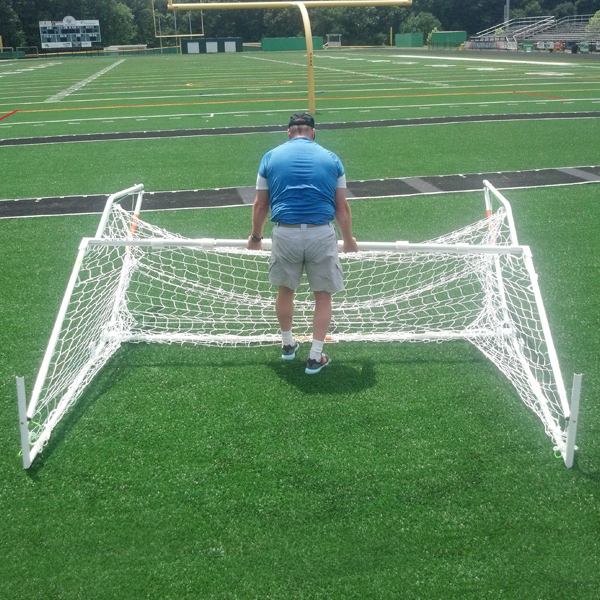 Rage Cage FUTSAL can also be used for small sided, youth leagues, urban and beach play. 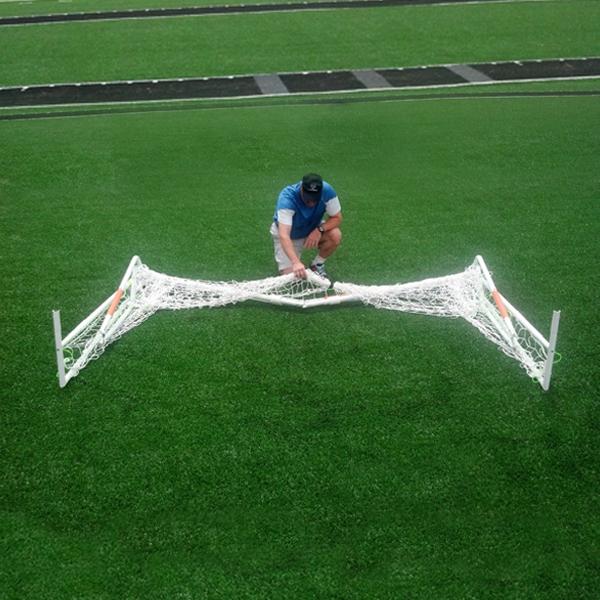 It’s rigid 1 ½”OD steel frame is powdercoated white, folds in seconds and uses Rage Cage ultra durable net fastening system. 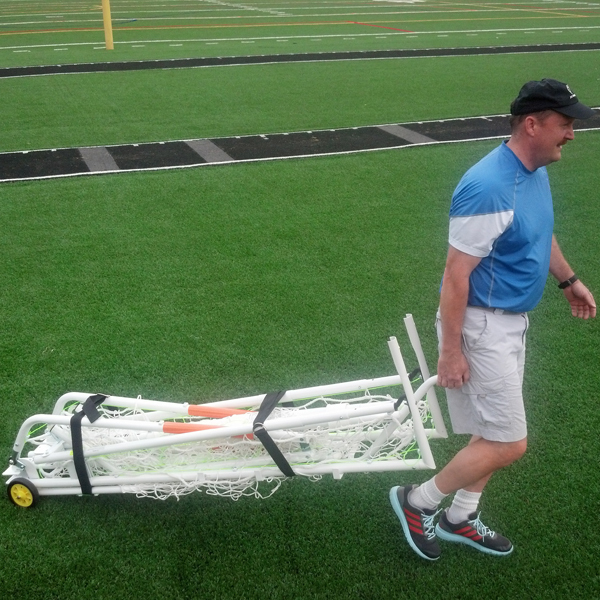 Transportation cart and ground stakes are included with goal.